I am grateful to barrister Robert Smith for sending me a copy of the judgment of His Honour Judge Gargan in the case of Jackson -v- Durham County Council & ors (20th December 2017). The judgment dealt with the issue of the effect of amendment of a case after a default judgment. In particular the claimant amended his case to plead provisional damages after obtaining judgment against one of the defendants. It shows the danger, to a claimant, of not pleading provisional damages at the outset and the difficulties that can arise if the particulars are amended after a default judgment. 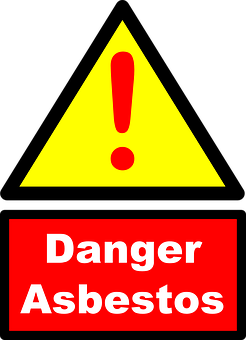 The claimant was bringing a claim on the basis has developed asbestosis as a result of his work for the defendants. Breach of duty was admitted. The issue in the case was whether the claimant had developed actionable damage. Default judgment had been entered against the second defendant. At trial the claimant argued that this was definitive of the issue of whether he had suffered actual damage. The second defendant argued that the claimant had amended his particulars after default judgment to claim provisional damages. The defendant argued that by making an application to amend to claim provisional damages after the judgement had been entered, the claimant has waived/abandoned or is estopped from relying on the judgement. Altern ativ ely, the second defendant applies to set that judgement aside. The judge considered the impact of the default judgment against the second defendant. 25. I now turn to deal with the position of the second defendant. 26. The claim form was issued on 11 June The particulars of claim did not include a claim for provisional damages. Judgement in default of defence was entered against the second defendant on 17 November 2015 in conventional form entitling the claimant to damages to be assessed. 27. On 16 February 2016, District Judge Stapeley gave the claimant permission to amend the particulars of claim to include the claim for provisional In paragraph 3 of his order,the District Judge gave the first, second and fourth defen.dants permission to file amended defences, if so advised. In paragraph 4, the District Judge ordered the claimant to pay the costs of the first, second and fourth defendants in respect of the application to amend. With the benefit of hindsight, it seems clear that the District Judge accidentally substituted the second defendant for the third defendant in his order as the second defendant was then playing no active part in th litigation unlike the third defendant. The claimant may not, unless he abandons his claim for provisional damages, enter judgement in default but should make an application in accordance with CPR Part 23 for directions. On any such application the district judge will normally direct that the court decide: (1) whether it is appropriate to award provisional damages and if so, on what terms; and (2) the appropriate award of immediate damages: see para 5(2). Under the previous rules, an amendment duly made, with or without leave, took effect, not from the date when the amendment was made but from the date of the original document which it amended. This rule applied to every successive amendment of whatever nature and at whatever stage the amendment was made. Thus, when an amendment was made to the writ, the amendment dated back to the date of the original issue of the writ and the action continued as if the amendment had been inserted from the beginning: “the writ as amended comes the origin of the action, and the claimant thereon endorsed is substituted for the claim originally endorsed” (Per Collins MR in Snead v Wotherton  1 KB 295 at 297). Similarly in the pleadings: “once pleadings are amended, what stood before amendment it is no longer material before the court and no longer defines the issues to be tried” (her Hodson LJ in Warner and Sampson ’s one QB 297 at 321). 32. Neither counsel was able to refer me to any authority or to any other passage in the White Book which was directly relevant to the issue. 33.The claimant contends that the introductory phrase to the passage from the White Book, “Under the previous rules”, indicates that the doctrine of relation back no longer applies under the I do not accept the claimant’s argument. In my judgement, the doctrine of relation back continues to apply. If the position were otherwise there would no longer be any need for special rules to apply when considering applications to amend made after the expiry of the limitation period in proceedings which had been issued before the limitation period expired. It is quite clear that CPR part 17.4 is designed to prevent a claimant gaining an unfair advantage as a result of the doctrine of relation back when amending the proceedings. 34. Therefore, I consider that the default judgement must be deemed to be a default judgement in a claim for provisional damages which has been entered in breach of PD41A. 35. The defendant contends that the judgement entered against it became void once the pleadings were amended. I do not accept that submission. There is no authority to support an argument that an order of the court.becomes void because of an irregularity in procedure. I find that the judgement of the court exists unless and until it is set asiide. 37.The claimant contends that adding the claim for provisional damages is adding a further head ofloss/damage whkh is not inconsistent with the judgment. 38. I accept that, in personal injury actions, judgement in default is often entered long before the relevant heads.of special damage have become clear. In a complex claim a claimant will often file a Schedule which seeks care or accommodation costs or costs of future treatment the need for which were not apparent at the time judgement was entered. However, such claims are part of the (immediate) damages consequent upon the breach in respect of which judgement has been entered. I do not consider that a default judgement for damages to be assessed can be a “springboard” to a claim for further relief. The terms of the judgement are for “damages” to be assessed. This necessarily requires the court to assess all the damages that have been sustained by the claimant. In my judgement, such an order is inconsistent with a right to claim provisional damages which cannot be included in a default judgement as explained in PD 41A. Therefore, I find that, unless the judgement is set aside, the claimant can only recover immediate damages against the second defendant. 39. I then turn to the second defendant’s application to set judgement aside. CPR Part 13.2 identifies the .circumstances in which the court must set aside default judgement. However, I do not consider that the current circumstances fall within any of the categories identified in that rule. (2) In considering whether to set aside or vary judgement entered under Part 12, the matters to which the court must have regard include whether the person seeking to set aside the judgement made an application to do so promptly. Whether the defendant has acted promptly is a factor of considerable significance and a court may well be justified in refusing relief where there is delay in applying to set judgement aside notwithstanding the possibility that the defendant may well succeed at trial: see the White Book para 3.3 and Standard Bank pie v Agrinvest International Inc.  EWCA Civ 1400. In ordinary circumstances a court would not countenance an application to set judgement aside which was made only during the final submissions of a trial. However, this is a highly unusual case. In my judgement, there was a burden on both the claimant and the second defendant to regularise the position and comply with PD 41A as soon the application to amend had been granted. This is something that both sides overlooked. Therefore, this is a case where (i) the defendant has, or had at the time the application was made, a good arguable basis which to defend the claim and (ii) there is (at least potentially) some other good reason why the judgement should be set aside or varied namely, that it does not comply with the provisions of PD 41A para 5. However, before reaching a decision as to whether to set judgement aside I must consider the question of prejudice to either party and the overriding objective generally. If the judgement remains in place and the claimant will recover compensation for any actionable damage and such lump sum as isappropriate to reflect the future risks. If he does not establish actionable damage he would, by reason of the judgement, be entitled to nominal damages for his immediate symptoms and a lump sum to reflect the future risks. The claimant will not be entitled to the provisional damages he seeks. This would leave him with potentially inconsistent dies against the other defendants. On the other hand, if the judgement is set aside the claimant’s case can continue against the second defendant in exactly the same way as it continues against the remaining defendants. If the claimant succeeds in showing actionable damage he will obtain an award of compensation for his current injury and an order for provisional damages in respect of any future risks. If the claimant fails to establish actionable damage his claim will fail but he would still be entitled to bring a future claim and obtain full compensation if any of the risks for which provisional damages might be granted materialise. In the circumstances, I see little real prejudice to the claimant in judgement being set Setting judgement aside has the benefit of allowing the claimant to pursue his (apparently) referred remedy, provisional damages, which he will obtain if he establishes actionable damage. The only downside for the claimant in setting judgement aside is that he will not obtain a lump sum award for future risks if actionable damage has not yet arisen. However, any such lump sum would be very modest given the low risk of future deterioration in this case and would not reflect the damage in fact sustained if the risk materialises-whilst if the judgement is set aside he will be able to means that the claimant would only recover a very small percentage of the compensation that would be due if the risks .materialised and for which he will still be able to bring a future claim if there is no actionable damage. Any issue of prejudice that might arise in relation to costs can be considered at the conclusion of the case. The setting aside of the judgment was, ultimately, of little benefit to the second defendant and of more benefit to the claimant. The judge held that the claimant as entitled to damages and that provisional damages would be awarded.